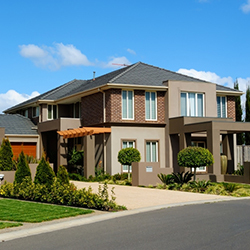 Welcome back to our blog series on choosing a higher value property! In our first blog, we talked about some of the myths behind buying a fixer upper. Fixer uppers have become a buzzword in recent years, in part due to their increased exposure and glamorized appeal from the many television shows that have graced our channels. However, there’s no mistaking that a fixer upper is an extraordinary amount of work, and can oftentimes end up being significantly more costly. First Western Federal Savings Bank knows all about the importance of getting the best in non-recourse loans, and how this can help you acquire a property to turn into a rental. Working with our non-recourse loan lenders can set you up to purchase a higher value property that meets various requirements, such as being at least $70,000 in value. Fill out our contact form today to get started with a non-recourse loan application, and in the meantime, check out some of the benefits of investing in a higher value property! Sure, you might not feel like you’re on an episode of “Fixer Upper,” but you will still feel just as accomplished and full of pride when you invest in a higher value property. 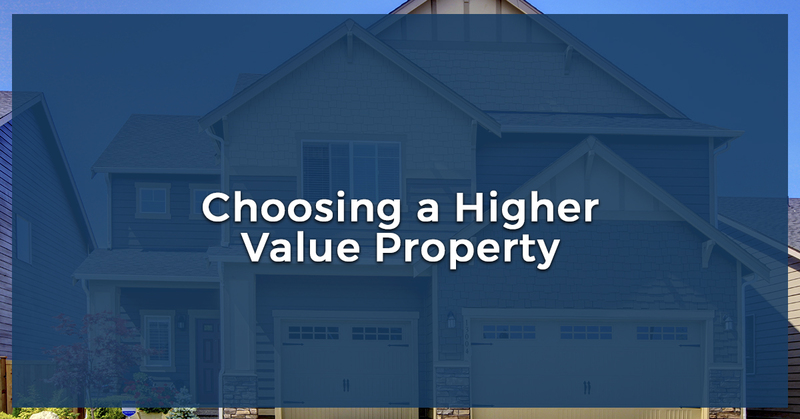 There are practically countless reasons why a higher value property is preferable, but we’ll just start listing a few. A property that’s at least $70,000 in value is, like anything else, going to need some work performed along the way. It will likely be substantially less than if you buy a property that needs a complete and total overhaul. With fixer uppers, there’s often things that go missed — especially if you try to tackle everything on your own, without consulting a highly qualified inspector. While not always the case, it’s far from uncommon for something to be brushed aside, only to come up as an even heftier expense and problem down the road. In the case of a higher value property, you get to focus on this as an investment, and worry less about the cracks in the foundation that were overlooked in that initial inspection of your fixer upper. This is a property that is much more sound from the get-go, and likely one that will last longer down the road. When you invest in a higher value property, you’re truly investing — and that’s the kind of attitude you want to have when buying real estate. Non-recourse loans are specifically designed to help you invest in a rental property, which could potentially offer you a greater ROI. Instead of focusing your financial lenses on improving a property, you can focus on this property as a financial asset and investment. This shift is crucial to helping you get money back on your rental property faster. You want a property to rent out, whether for vacation or housing purposes, but with a fixer upper, you’ll be losing tons of money at the start. The turnaround time to start generating a profit will be lengthy — if it even happens at all. A higher value property allows you to focus on your property as an investment, and be able to get it on the rental market sooner. You’re trying to get people to rent your house or condominium, and frankly, this is responsibility enough. If you purchase a lower value property, there’s going to be a lot of time and work spent trying to get everything in order. You won’t be able to rent it out until everything is finished, and worrying about the carpet and the drywall and the electricity are just some examples of things that can get in your way. Purchase a house that’s virtually ready to go, and you’ll be in a much better place to start renting out sooner — and start making money sooner, too! Ultimately, when you choose a rental property that’s of higher value, it can, understandably, be a bit intimidating at first. However, this is what the team at First Western Federal Savings Bank is for — to help you get set up with a non-recourse loan to get ahold of this property. You’re not going to have to pay nearly as much to get your property ready, and you definitely won’t have to pay all at once, either. Because with non-recourse loans, this is a mortgage payment that you’ll settle and pay off over time. Our non-recourse loan lenders are ready to help you get the mortgage you need to acquire a property for housing or vacation rental purposes. When you invest in real estate, you can only imagine the possibilities that await with this kind of financial opportunity! Get started with First Western Federal Savings Bank today — we’re looking forward to working with you.